Around 70 South Gloucestershire volunteers have been thanked for their efforts at a special event held in Winterbourne last night (Thursday 9 June). 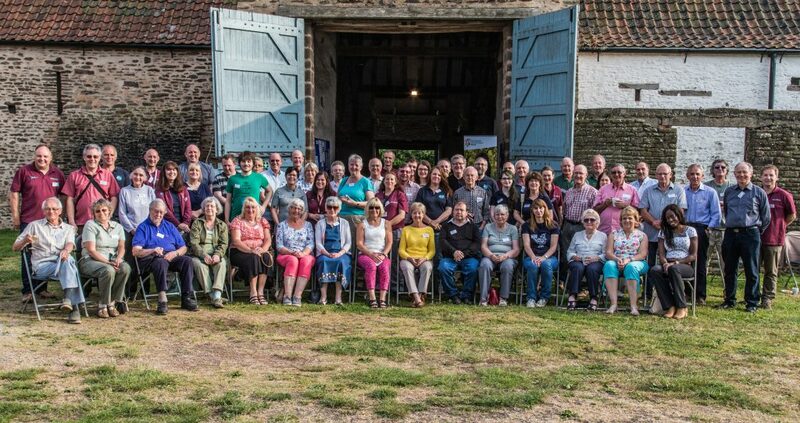 South Gloucestershire’s Community Spaces Network hosted the event at Winterbourne Medieval Barn to celebrate the many friends groups and volunteers who help to maintain our parks, nature reserves and public rights of way throughout the area. Groups and individuals from a range of ages and backgrounds were honoured by Chair of South Gloucestershire Council Cllr Erica Williams who praised them for their invaluable work and dedication. The event began with welcoming speeches by Cllr Williams, and Sue Parsons, volunteer and chair of the Winterbourne Medieval Barn Trust who spoke about the history of the unique 14th century building and the exciting future it holds having secured development funding from the Heritage Lottery Fund. Talks and presentations followed from a number of volunteers from local heritage sites and parks, conservation groups, friends groups, In Bloom groups, and a representative from Keep Britain Tidy’s Love Parks campaign. Volunteers attending got to play an active part in the evening by taking the opportunity to promote their groups and organisations for ‘just a minute’ and talk about their achievements over the last year, during ‘one minute wonders’ slots. The evening ended with a bat walk to nearby Monks Pool local nature reserve, led by volunteers from Avon Bat Group. Volunteers’ Week is an annual celebration of the fantastic contribution millions of volunteers make across the UK – and takes place from the 1-12 June 2016.